Rangers in Kruger National Park managed to shoot and wound one rhino poacher in an exchange of gunfire that occurred after a dead rhino was found early Monday morning. 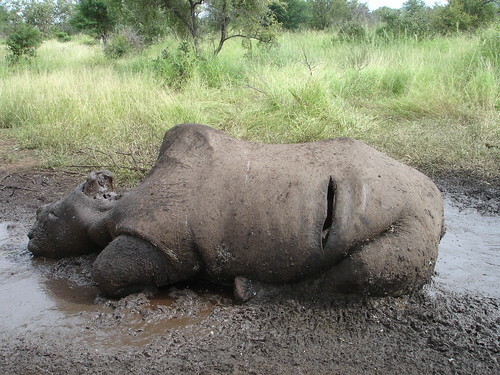 The rhino had been shot and its horns were still intact. Although two poachers managed to escape, the other is hospitalized and will appear in the Saselamani Periodical Court following recovery. Park spokesperson William Mambasa said via The Independent that the group of three poachers were wearing ranger uniforms as a disguise. The shooting occurred between Punda Maria and Shingwedzi Camp. 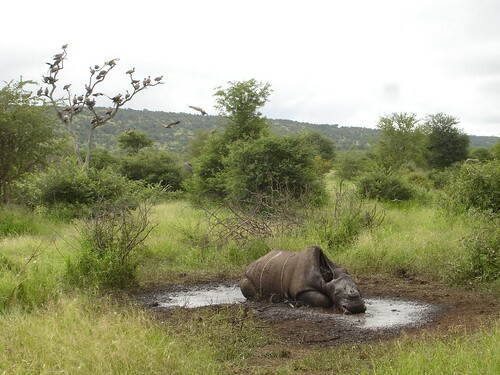 This entry was posted on June 15, 2010 at 2:58 pm and is filed under Africa: Rhinos with tags Africa, Anti Poaching, Conservation, Crime Syndicate, FIFA, Football, Ivory, Kruger National Park, poaching, Punda Maria, Rangers, Rhino, Saselamani Periodical Court, Shingwedzi Camp, soccer, South Africa, wildlife, world cup. You can follow any responses to this entry through the RSS 2.0 feed. You can leave a response, or trackback from your own site.